May | 2016 | Sonic Smash-Music! 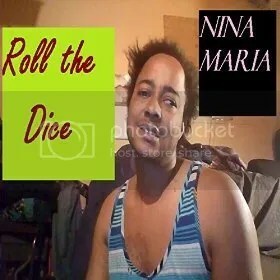 The rapper and songwriter known as Nina Maria has released a new LP hip hop album, “Roll the Dice.” The record has been proudly published on the Coinxiding Arts Entertainment independent music label outside the direction and control of the corporate music industry. It contains 30 original tracks for a grand total of two hours and 20 minutes’ worth of freestyle hip hop. Remarkably creative, evocative, and introspective, “Roll the Dice” by Nina Maria is a record unlike any other. Nina Maria cites as main artistic influences Lil Flip, Mobb Deep, and Celly Cell. Her own “Roll the Dice” album is unlike these, however, and indeed unlike most rap artists’ work, in that all of her recorded tracks are freestyle. Maria’s ability to do this is perhaps not surprising in light of her high-school GPA of 5.0. Often rapping about her life and perspectives about the world at large, Nina Maria is one of the most heartfelt and genuine artists in rap music today. Even besides her ability to publish a freestyle-rap record more than two hours long, Nina Maria is an exceptional human being. Among her experiences include a tour with the United States Marine Corps as a small-computer systems specialist, an abusive relationship, a nervous breakdown, and suffering from schizoaffective disorder. Maria’s luck turned far worse when she stopped taking her medication and became homeless. She bounced around St. Louis homeless shelters but became increasingly ill without her medicine. Eventually she was so sick, she was misidentified as the culprit of a shooting in the area. Up against 30 years, she took a four-year plea bargain and did two years inside, two years parole. “By God’s grace, He got me back to Eolia, Missouri,” writes Maria. She would later perform, record and publish four digital music records. “Roll the Dice” is only the newest. A common theme of these records are the trials and complications of having been born a hermaphrodite, and Maria’s ongoing success as a transgender woman. “Roll the Dice” by Nina Maria is available now at over 700 digital music outlets online worldwide. The electronica music artist known as Lan Minh has released his latest full-length record, “That Tinh” (“Lovesick”). The record contains 10 original tracks for an approximate total listening time of 40 minutes, making for a comprehensive introduction to this evocative, modern Vietnamese music group. It has been proudly published on the XL Media independent record label outside the control of the corporate music industry. Colorful, heartfelt, packed with power and emotional force, “That Tinh” by Lan Minh is the most recent example of the ability of music to express human feeling across all boundaries. This is not to say that the record is slow or melodramatic, however. Much of “That Tinh” is pulsing with bass, exploding with digital beats and roaring with strong vocals. The vocals are one of Lan Minh’s best attributes, in fact. Every track on “That Tinh,” whether it be mellow and melancholy or pumping and upbeat, is graced with some of the best singing available from independent music producers today in any genre. What this means is that fans of many different music categories can find something to love about “That Tinh.” It is great dance music and has enough variety to work on its own as a nightclub playlist at venues where couples dancing is found. DJs for all sorts of venues and events featuring EDM, electronica, or ballad music will easily find a track or three on this record which will benefit their favorite play list. Many of the songs are excellent for wedding receptions. All in all, “That Tinh” is a great record, an eye-opener for those who may love electronic music but haven’t experienced contemporary Vietnamese music in a long time or at all. “That Tinh” by Lan Minh is available at over 700 online music stores beginning 22 May 2016. The West Coast rapper known as Hanuman has released his long-awaited LP record, “Nirvana.” The album contains 11 original tracks for an approximate total listening time of half an hour. It has been proudly published on the Blue Lotus Ent. independent label outside the control of the corporate music industry. Thumping, grooving, and packed with rock-solid rhymes and lines, Hanuman’s “Nirvana” debut proves him to be a hip-hop force to be reckoned with. Originally from CA’s Bay Area music hotbed, Hanuman cites as main influences Talib Kweli, Mos Def, Guru (Gang Starr), Common, early Kanye West, Lupe Fiasco, and Immortal Technique. Music fans familiar with these hip-hop titans will recognize the artist’s good taste, the same good taste on which “Nirvana” is built. Hanuman’s seemingly innate understanding of what will sound best pervades every track, from the tone of each percussion instrument to the careful space between each beat, and from the deliberate choice of every lyric to the natural, unpretentious flow of his delivery. “Nirvana” has plenty of variety between the tracks, but each of them is as good as the last. Fans of Hanuman are not likely to pick favorites, and if they can do so, their favorites are likely to change. This is that kind of record. Hanuman takes his name from the Hindu god of the same name, just as his debut LP takes its name from the Buddhist and Hindu concept of attaining reunion with the godhead. There’s a positivity in his music that makes these titles fitting. Philosophical ideas often crop up in his rap, too. Hanuman has lived in Oakland, around the Bay Area, in Los Angeles, in Las Vegas, and in the northern California town of Alturas where his rap career began. Hanuman’s plans include music videos, promo shows, radio interviews and features, as well as ground-level street promos. With the top-shelf quality of this record, there’s nothing stopping him from taking it much, much further. 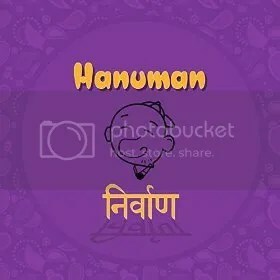 “Nirvana” by Hanuman is available online worldwide at over 700 digital music stores now. Get in early. Very early. The singer-songwriter of country music known as Rhea Francani has released her newest official single, “Shotgun Baby.” Like the rest of Francani’s music catalog, “Shotgun Baby” has been proudly published on the Limestone Records independent music label without the direction of the corporate music industry. Upbeat, jubilant, all-American and entirely fun, “Shotgun Baby” is further proof that Rhea Francani is a name to watch for country music fans everywhere. Rhea Francani cites as main artistic influences Carrie Underwood, Miranda Lambert, Lady Antebellum, Whitney Houston, Mariah Carey, and Michael Jackson. Her new single has most in common with the first two names on this roster, but Francani’s own sound is decidedly her own. Fans of Rhea Francani can expect the same goodness in “Shotgun Baby” which has defined her rise to prominence so far. It’s rooted in the country tradition with some pop and rock elements (though not enough to call the song ‘rock’). It’s energetic and buoyant, narrative and relatable. Listeners will find themselves in a better mood after having heard “Shotgun Baby” for the first time. Her “Shotgun Baby” single is expected to be the final official release from Francani leading up to her forthcoming album, “Now or Never,” which has a drop date of summer 2016. “Shotgun Baby” rides on the coattails of her February 2015 debut EP, “I Want You to Know,” which contained her flagship single, “Dizzy,” recorded in Nashville, TN. “Dizzy” is also notable for being Francani’s first official video release. The video and single appeared in January 2015. 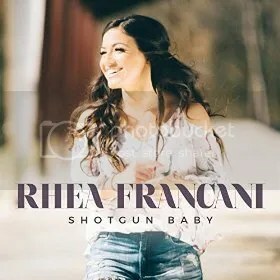 In addition to the considerable talents of Rhea Francani, herself, “Shotgun Baby” includes the skills of top Nashville session musicians directed by Wanda Vick, Michael Walter at OmniSound Studios (producer, engineer), Grammy Award Winner Richard Dodd (mastering), and Jeff Johnson (cover photography, Carrie Underwood, Billy Currington et al). Rhea Francani grew up outside Buffalo, NY and was inspired to sing at a very young age. Her passion for music led her to New York City to pursue music at the college level, but she has since relocated to the capital city of country music, Nashville. “Shotgun Baby” by Rhea Francani is available online worldwide from over 700 digital music retailers now. Get in early, country music fans. It’s a matter of time before you hear about Rhea Francani from someone else. The singer of R&B and soul known as Yolanda Arrey has released her latest LP record, “The Bayou.” It consists of 15 tracks for an approximate total listening time of one hour. It has been proudly published as an independent release without the direction of the corporate music industry. Built on grooves, blues, beats, and the clarion singing of this contemporary chanteuse from Cameroon, “The Bayou” proves Yolanda Arrey to be one of today’s most evocative singers. 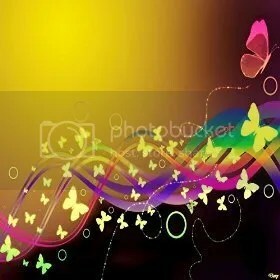 Right away “The Bayou” evidences whose singing Yolanda Arrey appreciates most. She cites as her main inspirations Whitney Houston, Billie Holiday, and the Temptations. Yet her style sets her apart from these legends, letting her retain qualities and characteristics all her own. Arrey’s sonic individuality begins at the writing stage. She clearly writes songs with a mind to create new patterns of flow and phrasing while at the same time paying strict attention to the content of her lyrics. This latter artistic principle alone puts Arrey in a select percentage of singer-songwriters, but her natural tones also single her out as a special performer in today’s burgeoning independent music scene. Arrey began her singing career at the age of seven as a songwriter. 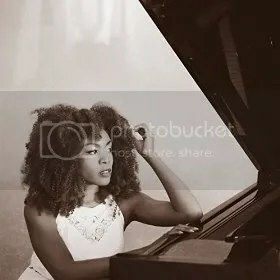 By nine she had joined several a-cappella groups in Saker Baptist College where she later attended high school in Cameroon and was lead singer-songwriter for the popular dance group, “GST.” Before relocating to the United States at 19, she would sing in many more. She participated in many bands in college, and memorized most of her school studies by making music out of her classroom lecture notes. Yolanda Arrey has collaborated with pop musician Prince of Cats and appears as lead vocalist in his hit 2013 video, “When You Loved Me.” More recently she appeared on her brother Eliel Arrey’s album, “The Essentials,” singing “Your Highness.” Her new record’s title track, “The Bayou,” is co-written by the world-renowned composer, Lawrence Nachsin. “The Bayou” by Yolanda Arrey is available online worldwide at over 700 digital music stores now. The composer, producer and musician known as Antonio Underwood has released his latest LP album, “Tone Poem VII: 3rd Eye Continuum.” The full-length album contains 12 tracks for an approximate total listening time of one hour. It has been proudly published on the Tone East Music LLC independent record label outside the control of the corporate music industry. 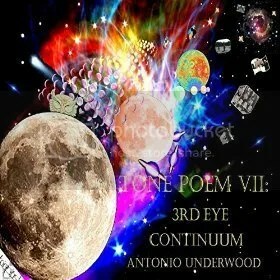 Sonorous, textured, highly imaginative and marked by excellent performances and studio production, “Tone Poem VII: 3rd Eye Continuum” is the latest evidence that Antonio Underwood is an important name in the 21st century music scene. Underwood cites as main artistic influences McCoy Tyner, Max Roach, Miles Davis, Charlie Parker, and Charles Mingus. As one might expect from such a distinguished roster, his own music tends toward the jazz category. “Tone Poem VII: 3rd Eye Continuum” is unique enough to belong to several genres, however. The album is spacious, ambient and evocative, thought-provoking and based on prominent bass and a variety of strong back beats. Vocals are elegant, floating above Underwood’s currents of instrumentation, while brass lines come in and out with casual precision and intuitive phrasing. In addition to the considerable talents of Antonio Underwood, himself, “Tone Poem VII: 3rd Eye Continuum” also features performances by young trumpeter Bassell Atum and R&B vocalist Kenya. Antonio Underwood’s music career began at the Ebenezer community church in Englewood, New Jersey. Having since taken up residence in Martinsburg, West Virginia, he is currently lending his expertise to help develop a new jazz program in Novi Sad, Serbia, as a Fulbright Scholar. “Tone Poem VII: 3rd Eye Continuum” represents Underwood’s ninth official album release, his previous records including “Tone Poem VI: Wondering Places,” (2015) “Tone Poems V: Children of Light, ‘On a Tuesday’” (2014), “Tone Poems IV: Children of Light, A Tuba Sonate” (2014) “Tone Poems III: ‘Synergy’ (2013) “Tone Poems II: ‘An American Symphony #1’” (2012) “Tone Poems I: ‘And Your Tuba Too, Tony!’” (2011) “They Call Him…Antonio” (2009) and “Tuba Mirum” (2007). “Tone Poem VII: 3rd Eye Continuum” by Antonio Underwood is available at over 700 digital music stores online worldwide now. The singer and songwriter from South Carolina known as Alex Jenkins has released his debut EP album, “The New Me.” The record contains six original Jenkins tracks for an approximate total listening time of half an hour. It has been proudly published as an independent release outside the control of the corporate music industry. Heartfelt, intimate, mellow and bright, “The New Me” from Alex Jenkins is a record about personal metamorphosis and perseverance in the face of turmoil. 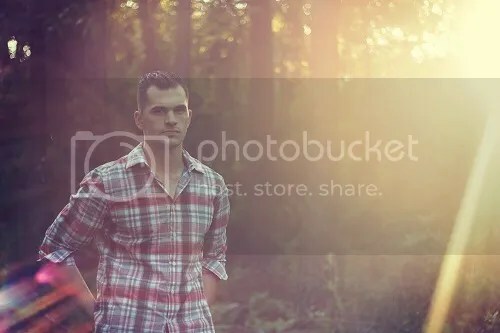 Alex Jenkins cites as main inspirations John Mayer, Ryan Adams, Bob Dylan, and Paul Simon, perhaps the four most enduring and influential male singer-songwriters today. His own sound takes elements from each but retains an individuality which sprouts both from Jenkins’ songwriting and natural singing tenor. Fans of Nick Drake are sure to find much they appreciate in Jenkins’ tone, songwriting, and musical creativity overall. Alex Jenkins has been playing music since the age of 14 and has been passionate about songwriting ever since. Two singles from his debut record, “Coming Back To You” and “We Hold On” are currently in radio rotation and enjoying enthusiastic listener feedback. He has performed live in Atlanta, GA, Charleston, SC, and Greenville, Long Beach, and Charlotte, NC. “The New Me” by Alex Jenkins is available online worldwide at over 700 digital music stores.